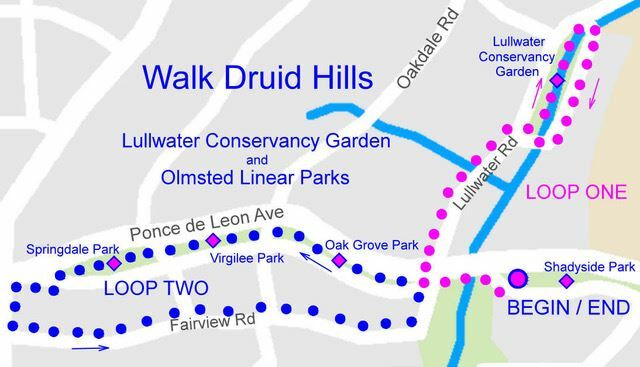 Join us this month as we explore the Lullwater Conservancy Garden and three of the Olmsted Linear Parks. We'll meet at 9:00 AM on Saturday, March 10 at the intersection of South Ponce and Ponce near Jackson Hill Baptist Church. Parking is available in front of the church along South Ponce de Leon Ave. The walk is approximately three miles and includes some dirt and gravel paths.